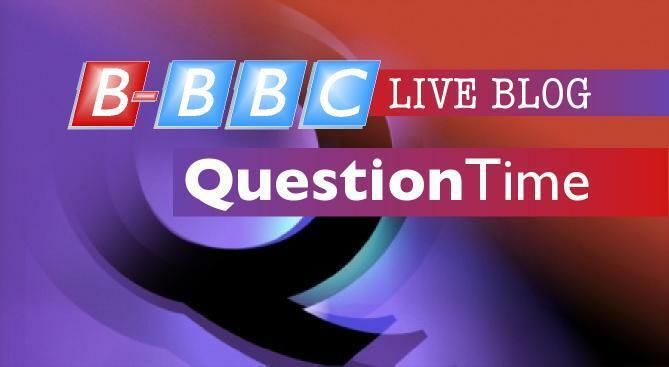 On the Question Time panel from the Labour conference in Liverpool tonight we have Grant Shapps, housing minister; Tim Farron, president of the Liberal Democrats; Caroline Flint, shadow communities and local government secretary; toothy freak Janet Street-Porter; and columnist and commentator Peter Oborne. Boorishness and crassness, certainly. I was looking for the ‘flag’ for ASB to moderate his own post. JHT, you seem quite up on Scripture with regard to homosexuality and marriage. Have you ever read “”Do unto others as you would have others do unto you””? Jusi=t like the BBC-being your own producer and expert analyst aftrewards…only stands to reason that you got it (on balance and just about) right. Award yourself a pay hike Sir Alfred of Tingley! This woman with her smoking bans and her referring to council houses as being “more springboards to opportunity than safety nets” sums up most of Labour groupthink. I`m guessing she is one of the invisisble bedblockers in Milibands useless Shadow Cabinet….think that she was the one that had nothing to say as the rioters took the Arndale apart! I think the Liberal Democrats should change their name. They are neither. nice to see some balance….? Well-spotted ! Oborne just couldn’t resist letting his anti-Israel bias creep in towards the end, even though the programme was about Blair. The subtext being that Blair is pro-Israel. He rarely visits Gaza ! Come to think of it (stupid me for not doing so before), I guess this is why Paxo gave Oborne such latitude in insulting the eurocrat as an “idiot” three times the other day. Anti-Semitism goes a long way at the BBC. A Question Time from a Labour conference in Liverpool ???? Sorry, too much for me. I’m just not robust enough for that sort of thing. I did not think anyone could stand it either. I shall ignore the other idiots this next week as well.